A famous stuffed roasted peppers from northern end of the Gulf of Naples made of char grilled peppers stuffed with aubergines, croutons, olives and capers. Preheat oven to 150oC. Char the peppers under a hot grill until their skins are blistered and blackened in places. Carefully peel off the skin and discard. Also discard the stem, central membrane and seeds. Keep the peppers whole. Using the same pan, gently fry the bread cubes until golden, adding a little extra oil, if necessary. Remove the croutons from the pan and carefully mix with the aubergines, olives, capers, garlic, anchovies and parsley to make a stuffing. Season with salt and black pepper. Fill the peppers with the stuffing until they are plump, and the stuffing is slightly mounded at the top. Arrange all peppers in a baking dish. 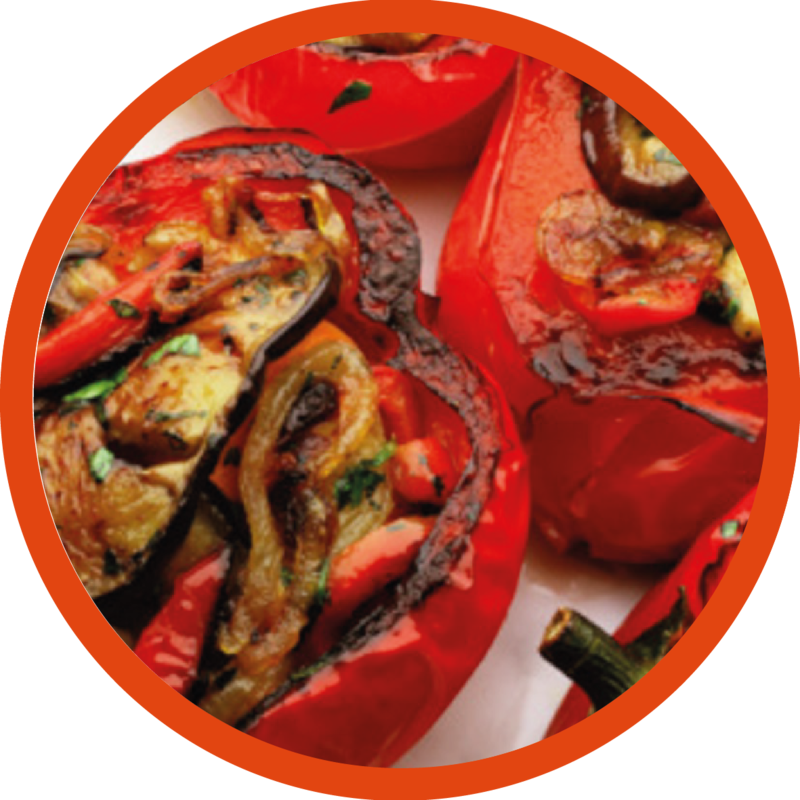 Drizzle with extra olive oil and roast peppers in the oven for 20 – 25 minutes.